Looking for a crystal baseball award for your coach or favorite fan? 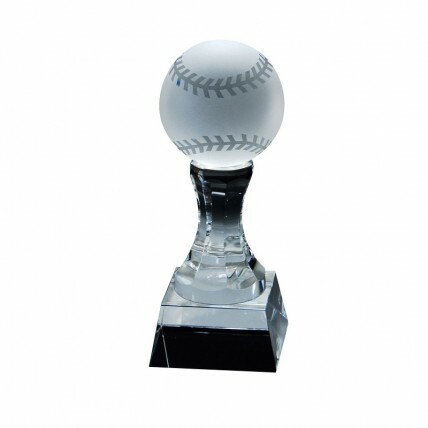 The Optic Crystal Baseball Award has a frosted ball sitting atop a cut crystal pedestal - a joy to give this amazing award that will look great on any desk or shelf. Also a great gift for the best coach you have ever had! This beautiful light catching award comes with professional etching on the base.